The latest Hetty Fox book is now live at Amazon! In this, the second book in the series, Hetty comes up against a new-to-her kind of corpse. Mix in the usual challenges posed by her resident ghost and her cat, and Hetty is hard pressed to keep up. But our amateur sleuth likes her life in downstate Illinois, and she is determined to thrive here. To that end, Hetty grabs a deep breath, turns her thoughts to the killer, and throws herself into her work. I’d hate to know when trouble is headed my way. Being blissfully clueless protects me from experiencing life’s meaner moments until they actually arrive. And so it was on this day. It was a Thursday. I was seated in my favorite chair with knitting in hand. Blackie, my cat, lay in his basket next to my feet. Andrew, my resident ghost, hovered near the window. He was watching the day’s heavy rainfall and rattling off ways to improve Blackie’s life. Yeah like he cared diddly squat about my poor cat. Blackie lifted his head and glared at Andrew. Andrew was a recent addition to our household. He had appeared in my living room shortly after my move here. He was the ghostly remains of a young man I’d loved during my college days. I’d hoped to marry him some day, but he’d died in a tragic auto accident before that could happen. I turned my attention back to my knitting and wondered again what had brought him here? The here I’m referring to is a little town called Hendricksville. It straddles the Illinois River midway down the state. Since I would turn sixty-five on my next birthday, my daughter had talked me into making the move. Having me near her made Megan feel better about my living on my own, and I saw my grandsons more often — which was always a win in my book. I looked down as Blackie chose that moment to climb out of his basket and pad off toward the kitchen. I glanced up and studied the handsome man. He had asked me once if I was pleased he’d come back into my life. I hadn’t known what to say. I had never put much faith in ghosts, so having one banging about my house seemed a bit odd. But if I had invented him, I only wished I’d have created one who got on with cats. “But It’s pouring buckets out there.” I pushed myself up out of my chair. Ellen Locket and her husband had moved to town a little less than a week ago. They seemed a nice enough young couple, although why she was head my way today I couldn’t imagine. I motioned her to take a seat at the table. “You’re talking about one of your trunks? One you brought with you when you moved here?” I crossed to the counter and poured tea into two cups. Harold and Helen McNay were the elderly couple who had sold Ellen and her husband their house. She chewed her lip and nodded. Blackie jumped onto her lap and purred loudly. He seemed to have a way of knowing when humans were in serious distress. She reached up and stroked his head. Well, at those words, I simply had to go see for myself. 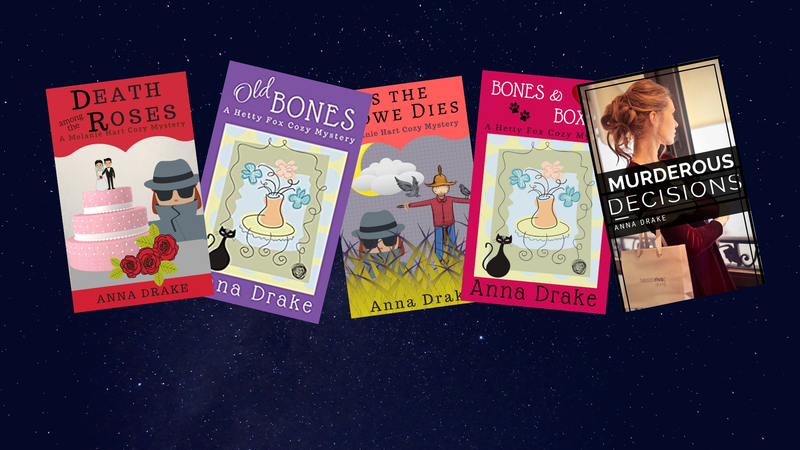 Old bones is available to read for free with a Kindle Unlimited subscription or you may buy it as well. 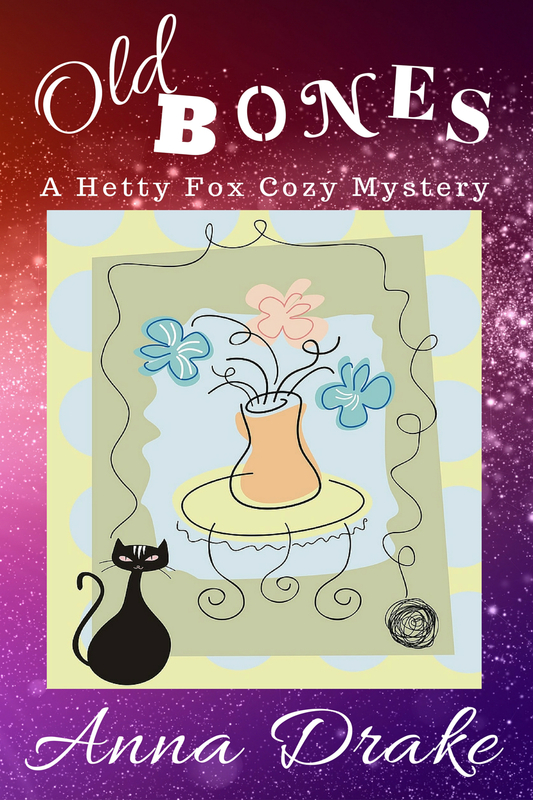 If you like cozy mysteries, you’ll enjoy this book. Grab you copy today.